Änderungen: 1. Solved the messy codes when download or upload some files. 2.Upgrade the reminder interface major for no jailbreak users. 3. Add the directory of download and upload. 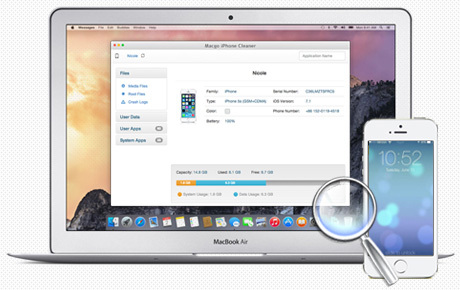 Macgo has just announced its first product release of this year - Macgo iPhone Explorer . The trial version of Macgo's products can be freely distributed over the internet in an unchaged form. END-USER LICENSE AGREEMENT FOR Macgo iPhone Explorer for Mac IMPORTANT PLEASE READ THE TERMS AND CONDITIONS OF THIS LICENSE AGREEMENT CAREFULLY BEFORE CONTINUING WITH THIS PROGRAM INSTALL: Macgo INTERNATIONAL LTD.'s End-User License Agreement ("EULA") is a legal agreement between you (either an individual or a single entity) and Macgo INTERNATIONAL LTD.